You’ll feel right at home in our cosy, sunny rooms sleeping 2 – 3 persons. 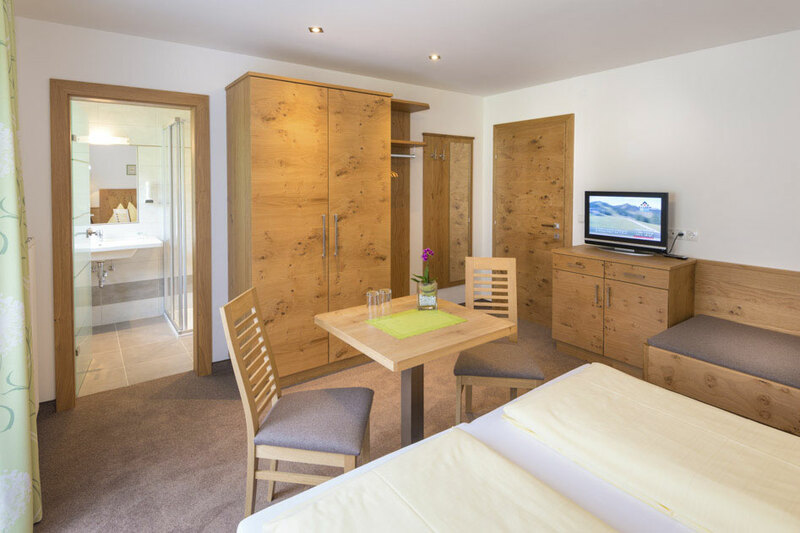 In summer 2014 all rooms and bathrooms at Haus Katja were completely refurbished and offer modern, solid wood furniture, cable-TV, safe and free Wi-Fi internet access. 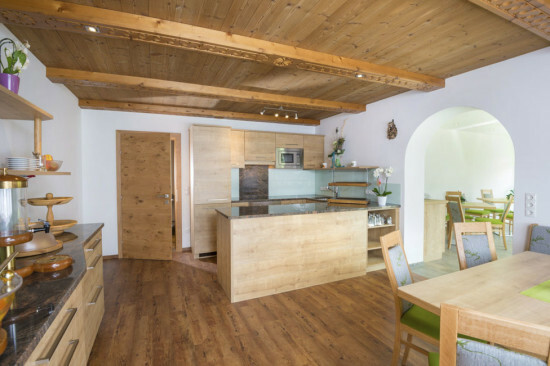 On the sunny balcony you can savour the splendid view of the picturesque countryside of Salzburger Land. Prices are in Euro per person per night, incl. V.A.T. excl. local taxes (€ 2,- per person per night). Subject to change. Good-value packages at the start of the season, mid-seaon and at the end of the season available on request. 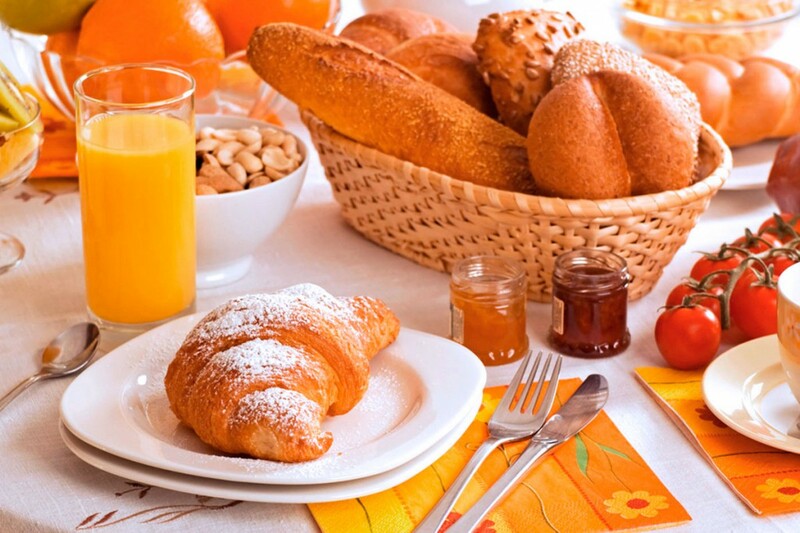 Build yourself up each morning with our regional breakfast buffet. We carefully make much of what’s on offer ourselves, such as bread, spreads, yoghurt, muesli… All of which taste even better in our newly refurbished panorama breakfast room with splendid views of the mountains. Spa area with sauna, physiotherm cabin for 2 persons, relaxation area with loungers, flood shower, drinking water fountain plus relaxing background music. 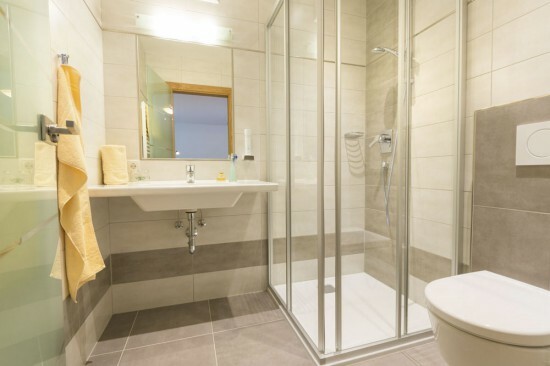 Hand and sauna towels available. Free use from Monday to Thursday, Friday, Saturday and Sunday on request. Spend cosy hours together in our attractive lounge. Here you’ll find a fridge, microwave, coffee machine and kettle, flat screen TV plus comfortable seating for up to 15 persons.